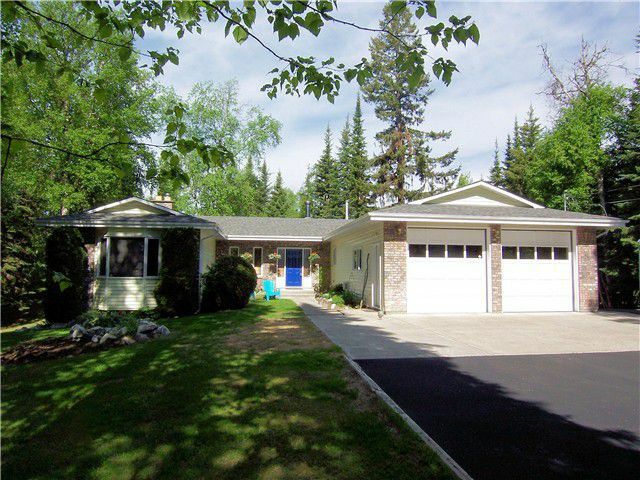 This modern sprawling rancher with walk-out executive suite and perfect shop is set on a quiet park-like 2 acres minutes to town. Upstairs flaunts slate tile and hardwood floors, stone countertops, vaulted ceilings, formal and casual eatingareas plus 3 oversized bedrooms. The master suite has south facing doors overlooking your manicured acreage plus full ensuite with jetted tub, and walk-in closet. Full height windows bask the completely separate 1 or 2 bdrm suite in plenty of natural light. The suite also has separate laundry, covered patio and a large kitchen with breakfast bar. Outside has ample parking plus the dream 26'x36' shop with full double carport in front of it. Truly a complete package that is a must see.